Love is a freak; worse still to love and be loved by a freak. Yes, love is an emotion of immense joy yet great sorrow. True love is not real, unless you pretend. It sweeps people off their feet with the proverbial broom. Oblivious to them is that true love is a bubblegum myth that has sold millions of big screen movies, novels and songs; and exists only on the mind of the poor deluded soul. It is still a mystery how we claim to love yet we actually hate with equal measure. Is it love to turn on those whom we love, assault and abuse them? It is not wise to permanently chain two hostile souls together yet this seems to be the mission of the clergy. They send many happy-clappy dudettes and bachelorettes, who value the wedding day more than the marriage itself, into the arms of till-death-do-us-part (of course after signing the pre-nup) husband – who batters them daily – with the biblical admonition to stay together no matter what because God frowns on divorce. A year into the marriage and the battering (to instil discipline) is unbearable. What starts as a simple altercation mushrooms to a real fight blowing out of hand. The rabble rouser hubby picks up fight with her in front of everybody, thanks to spectating relatives and neighbours; controls her every move and yes, has her life in his hands. Several years and tragic stories abound – from spouses killing each other in the middle of the night to marital-related-suicides. 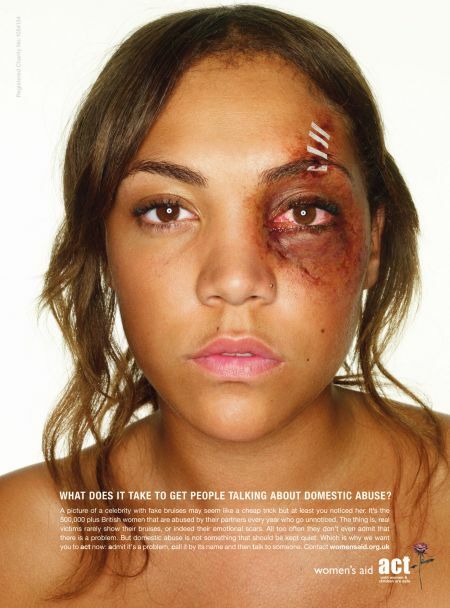 Well, intimate partner violence has made headlines world over. When she wants out he appears at the divorce court with lawyers full of law-school-jargon in tow, cry crocodile quarts saying it was his fault she was leaving. For the sake of the kids – and hopefully saving the already dead marriage – the judge cuffs them together, a lifetime of violence from true love. She would look as if she were a character from the film The Exorcist like Lissette Ochoa. 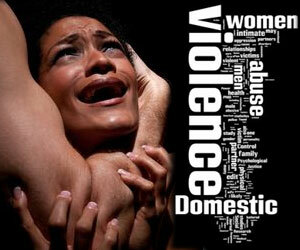 Such violence from partners is a leading cause of morbidity and mortality in women. You need to look at the once beautiful belle who shone the world with her beauty – she is a bag of fractures, contused and lacerated body full of obstetric complications and other chronic syndromes. Funny, isn’t it, after all the violence she still thinks that her abusive husband is her one and only true love; he is a shrewmouse worth sticking with because she has no place else to go. She expresses optimism about a change in futility. Yeah, hubby might be trouble, violent and abusive; but he is loving and caring like she cannot believe. Above all, he is crazy about her (pun intended). Why on earth go to Beijing, declare how they (women) are abused on a platform of acts and shame with more than 112 people in attendance yet stay in where they are abused? When pollster Infotrak reveals that 39% (and on an upward spiral) of women in any population are physically or sexually assaulted by their husbands or partners during their lifetime it is a concern. Where has love gone? Love is the mutual gratification of body and mind. Many a time it is the mortification of body, mind and soul thence comes the need to walk out on true love because that is not all what a woman needs. One of the best indicators of true love’s will to implement their commitments and achieve shared goals is the way in which they treat each other, respect, protect and promote the security of their enduring love in a loving, friendly environment – and live happily without violence. This is actually a growing concern nowadays, and I like the way you addressed it. Well Done @elovepoetry, I rily enjoyed this piece. Yes, you have a point. Love is not violence. 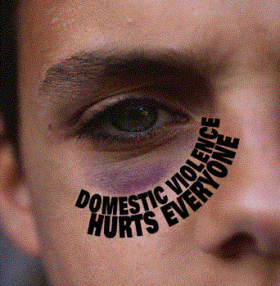 Violence is not love. No, true love is not false, but most peoples’ conception of it, shaped by unrealistic material, is. If a couple is mutually hostile, what business do they have getting married? How is it the clergy’s fault when they do….nobody ‘sends’ them on this mission, it’s typically voluntary. Christianity doesn’t permit divorce for plainly obvious reasons, but separation isn’t forbidden. If a partner is adjudged to be repeatedly and fiercely abusive, the other partner reserves the right to separate, WITHOUT divorcing. The life-long span of marriage is intended to portray the heavy responsibility that true love demands. It’s not all flowers and moonlight, it requires actual commitment from both parties. If love fails, it didn’t. The partners did. a very sensitive piece you have here,good points too. “if love fails it didn’t, the partners did” says it all. Folks are in love with the idea of being in love. Christianity may very well be against divorce,but mankind has become dogmatic is adapting to this teaching. The only mediator between man and God is Christ, hence the choice one makes as a Christian in a situation where a life is endangered should be one of the conscience and what it allows. I had no idea that the judiciary had such power as to enforce a marriage against anyone wish.does it? Thought provoking write up though, one to seriously ponder on. Wonderful thought you have there. ‘I had no idea that the judiciary had such power as to enforce a marriage against anyone wish.does it?’… NOT IN THAT SENSE… DESPITE THE MUCH WITNESSED VIOLENCE WITNESSED IN THE INSTITUTION OF MARRIAGE MANY PEOPLE ARE WED DAY IN DAY OUT…. How quickly can that blissful, loving relationship turn to hatred and revenge. There is such a thin line between love and hate. Once crossed, it is all down hill.